In post 197, Shadoweh wrote: So apparently Cartoon Network accidentally spoiled something from like 10 episodes in the future in a podcast. Comparable to 'if you saw Vader killing the Emperor'. Did people not already know this? I thought it was pretty obvious that was who she was for a while now. So like.. everything about Rose and Pearl is five hundred times more fucked up right? Pearl isn't a rebel at all! In post 201, AniX wrote: Did people not already know this? I thought it was pretty obvious that was who she was for a while now. From the youtube videos full of unbridled rage from speculators I would have to say no, it wasn't that obvious at all! How soon will the episode with the spoiler air so I know when to click on these? Yep, I just caught up now. None of us have mentioned the Uberspoiler and I think none of us will, I don't want to know what it is, I just know it's out there. The thing that frustrates most of the fans I know is that it's a twist that's very on the nose--it was the first thing many people guessed would happen, as early as season 1, but then folks second-guessed themselves into oblivion given how many other unexpected turns the series took. I'm cool with it, though, it definitely changes things in regards to Bismuth and Rose's own immaturity. In a way, it proves the Diamonds were right about a few ideological things. I'm not all that happy that it moves the conflict focus from an intergalactic war and rebellion to a family feud and a youngest child playing at defection. The most troubling thing, perhaps, is the possibility that the Beta kindergarten was made poorly by design, solely so that Rose could easily overtake it in order to 'fake' a winning war effort. The most interesting thing to come out of all this is what it means for Jasper, should she ever show up again. I'm just talking about stuff that has just aired. It's also a bit frustrating that this retroactively makes Pearl not a rebel and instead just an obedient Diamond-slave. Sure, she's still rebelling against the larger Homeworld authority, but still, eh. I just saw. I have been predicting this for a long time in fanfictions and stuff. I am so glad. The preview also got me. In post 215, Yume wrote: I just saw. I have been predicting this for a long time in fanfictions and stuff. I am so glad. I think it is even more than that. As far as I recall, most non-Crystal Gems view Steven AS Rose Quartz and therefore, once the truth comes out, will treat him as Pink Diamond. 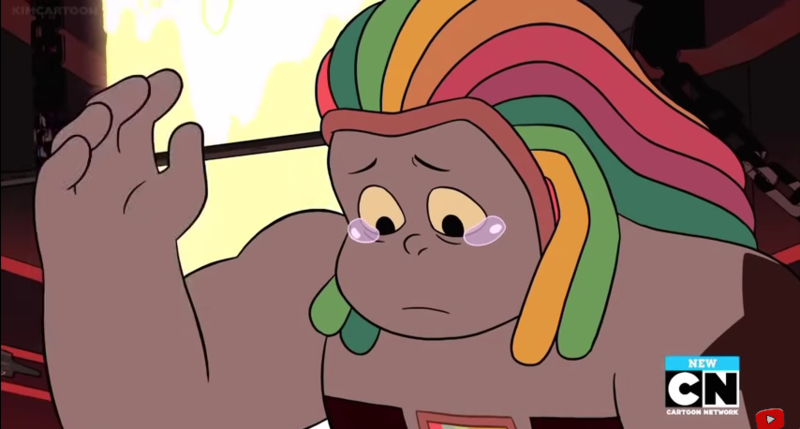 She’s back in bismuth baby! We should probably spoiler these. So I just saw the episode last night about Rose and Pink. The Human Zoo just got 10x more fucked up.